Even though we should celebrate love every day, February is still considered the month of love, chocolate, roses, and romantic dinner dates. Without a doubt, It’s a good time to remind that special someone how much you love them. Even if you don't need a special date to do so, ever year Valentine’s Day serves as a reminder that love is in the air. On this romantic day, if you’re planning to be in the area of the amazing Riviera Maya, there are a plethora of romantic options for you to choose from. A PERFECT START TO A PERFECT VALENTINE'S DAY – To start the perfect day, go out for a leisurely walk on the beach, taking in the mesmerizing views of the first rays of sunshine over the Caribbean Sea and feeling the morning breeze. Along with this you can also commit to a beachside workout and revitalize the energies together with your better half. Then delight with a rich breakfast and savor the first morning coffee while gazing into your beloved's eyes. Why not add fresh tropical fruits and other mouth-watering dishes. In this manner you can appreciate each other’s company and talk about what you and your partner would like to do on this special day or drop hints about the surprises you've planned in association with the crew onboard. ENJOY A WELLNESS TREATMENT & RELAX IN ROMANCE – To set the romantic peaceful mood, what can be better than pampering your body in the professional hands of a masseuse. You can get this amazing treatment prior to or after boarding your private yacht charter. It is a delight for the body and mind as you can just relax and listen to the calming sounds of the sea. The body relaxes and the last traces of stress melt away completely, preparing you up for a wonderful day. OFF TO A ROMANTIC ADVENTURE – With that relaxed feeling, go out and discover a little more of the wonders of what Riviera Maya has to offer. Located in the heart of the Riviera Maya is Xel-ha – an elegant combination of natural rivers with crystal clear waters and lagoons where you can enjoy swimming and snorkeling. Swim with dolphins or go on a romantic walk in the rain forest. After several activities enjoy a delicious lunch of Mexican specialties in one of the restaurants overlooking the lagoon. Life is good when you’re in love! 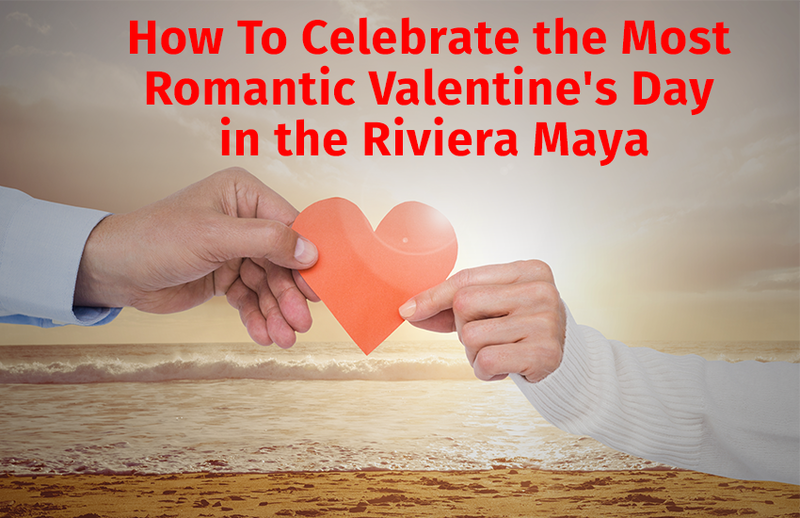 CELEBRATE WITH A BOTTLE OF WINE AND A ROMANTIC DINNER – The Riviera Maya has never ending settings for a romantic Valentine’s date: there is no more romantic setting than by sailing over the sea, sitting on the deck aboard a private yacht and surrounded by water all around with endless opportunities to tell your sweetheart how much you love him/her? It not only offers the amazing views of the city, but also it's a great place to raise your glass in a toast to the one you love. Led by the talented executive chef, treat your taste buds to the mouthwatering menu of gourmet food. With options ranging from a day charter to a week-long charter, you can truly pamper the one you love at sea and what better way than on a yacht rental in Riviera Maya.